the end of this time the membrane was perfectly set, and the collodion layer together with as much as possible of the paraffin oil was removed. The remaining paraffin oil, together the hemoglobin corpuscle was then emulsified in saline, the paraffin oil having been emulsified and float to the surface leaving behind the hemoglobin corpuscle in saline. 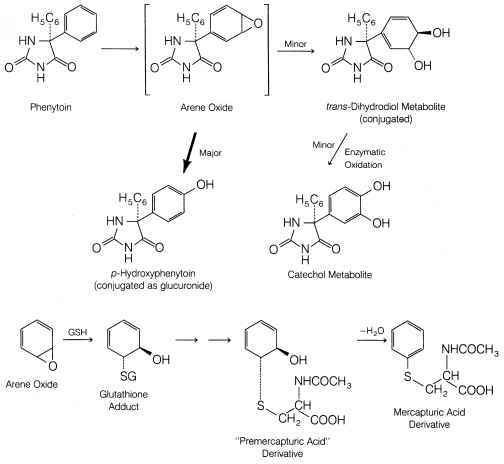 With this method, it was successful in preparing hemoglobin corpuscles with size of about 0.2 mm in diameter. 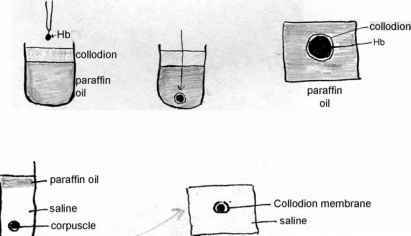 The trouble with this method being that the surface tension between collodion and paraffin oil was such that only hemoglobin droplets of appreciable size would be able to penetrate the collodion-paraffin oil interface.